Do you like Japanese food? Not the commercial stuff, but that which is authentic and true to Japan? Well...if you are keen to explore, and indulge in, authentic Japanese vegan food, you'll be happy to read this article, which is all about a company called Clearspring. What does Clearspring specialise in selling? Clearspring specialises in the selling of Authentic and Organic Fine Foods. Here's a video of me introducing some of their range. The main office is based in Acton, we have an export office in Belgium and our consolidation warehouse is in The Netherlands. What inspired you to create a business that solely focuses on plant-based, organic, Japanese foods? 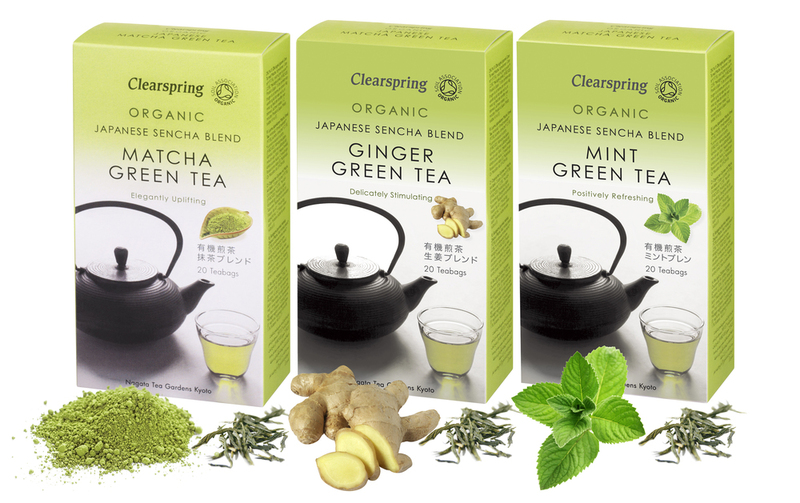 The Clearspring brand promises premium quality Japanese specialities and Organic Fine Foods that are authentic, versatile and support good health. They are made to traditional recipes by master artisan producers and bring full, authentic flavours from some of the most exciting food cultures around the world. Each product has a distinct flavour and quality that comes from using the finest quality ingredients and respecting local food traditions. Clearspring always works directly with its producers, building long-term partnerships of ethical trade that support sustainable organic farming and benefit local communities. Clearspring was born out of Christopher’s wish to build a global organic food brand, to protect and develop the production of authentic and artisanal foods, and to distribute these good foods worldwide to people of all nationalities. Sustainable food production is part of our core message. The Clearspring brand guarantees food integrity without compromise and delivers wholesome, easy-to-prepare, great tasting daily foods for optimum nutrition. More and more suppliers and products are being produced under the Vegan banner which is certainly making it easier for us to source ingredients. For someone who hasn't tasted any of your products before & is indecisive about what to buy; what are the 3 most popular items? The three most popular products are our award winning organic double strength tamari, our organic ambient tofu and our organic green teas: Sencha and Matcha. Are you owned by or in partnership with another company that does test on animals or sell non-vegan products? Absolutely not! We are passionate about what we do and we will not compromise on our ethics or standards. Tell me a bit about yourself before you launched Clearspring? Christopher has been in the food industry since the early 1970’s demonstrating that he really is a pioneer of the natural food movement. After all this time he is still truly passionate about his suppliers, his staff and his customers. What is your vision for the future of Clearspring? To encourage more people to eat organic food through the launching of new and exciting products, flavours and varieties.